It has been researched that an awareness of shapes at an early age is beneficial – it builds spatial literacy skills, improves visual memory and balances the emphasis on verbal language used in early education. Visual literacy and observation skills. Like reading, observation skills are learnt and need practise. Practise in how to look and how to understand what is seen. To build visual literacy and be able to think critically about what has been observed. Seeing and spotting things is a muscle, unless you use it you lose it. Being able to observe and see new things in apparently unrelated objects is a valuable tool of visual literacy in this day and age. But why look for numbers in nature? We can learn about nature and ‘maths’ at the same time. Numbers don’t have to be just on a page with a quantitive value, before they were numbers they were shapes. Numbers as shapes with qualities. This is what I call Shapeology, nature’s numerical language. Developing spatial and shape awareness is important. When mentioning numbers in nature many people quote the Fibonacci sequence, a well understood number pattern that offers a common ratio found in natural forms. I love Fibonacci it has so many manifests. Yet spotting numbers is nature can be much simpler than Fibonacci and more accessible. Triangles, stars and hexagons are all easily found in flowers and seeds at any time of year. All these shapes and more offer basic maths concepts that can be seen and experienced. 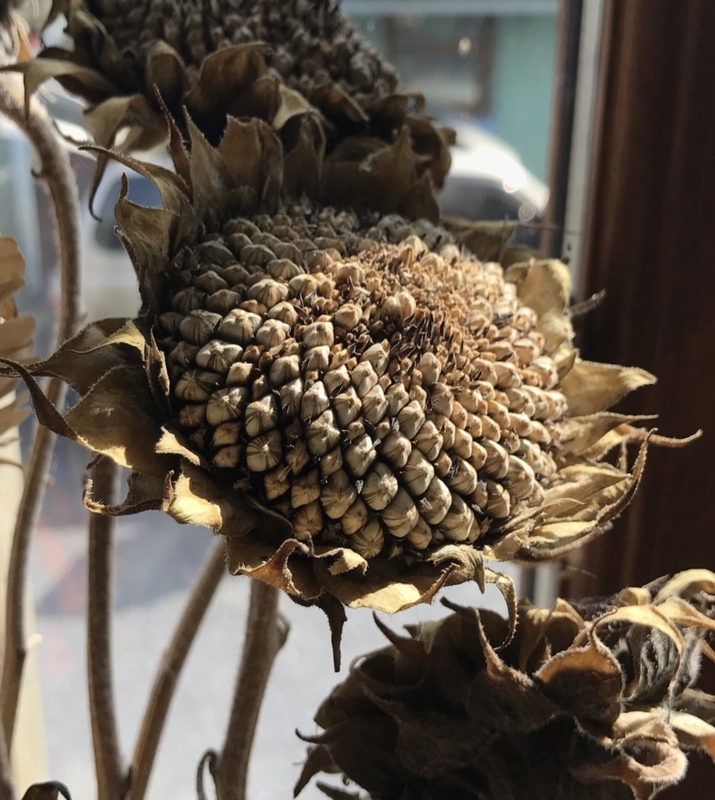 What begins as a curiosity in flowers picked in the back garden, strengthens into understanding shapes that in the future supports an understanding of higher maths concepts. To get into nature in a new way. 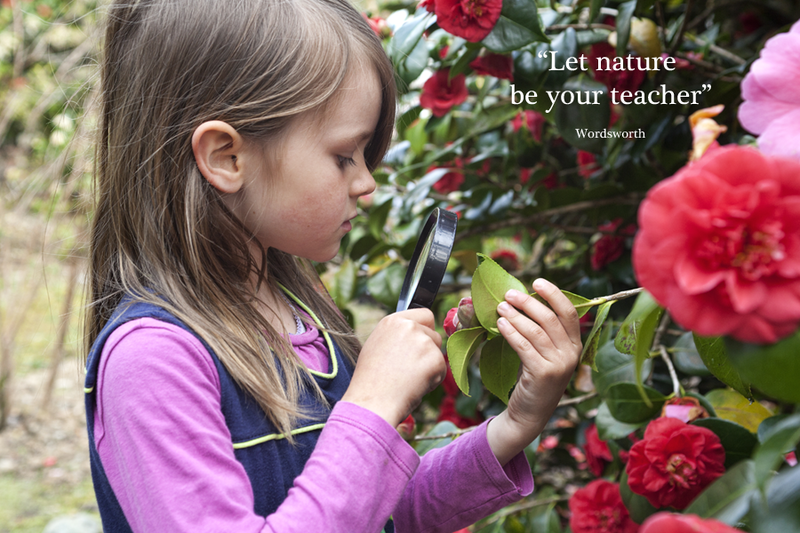 In recent years there has been a push toward outside classrooms and forest school approaches. we do need an antidote to the abundance of screens. Participation in nature is not to be underestimated, many books and studies have been written on the importance of connecting with nature. Also what the lack of nature can do to all of us. It’s easy to forget to connect with natural spaces in our from busy pressured lives, yet if we can get into nature and increase our understanding of shapes and maths in an unthreatening way. Then what is not to like? There is wonder out there, that must be shared. Natural wonders that will feed our senses. These shapes can be found in nature with an encouragement to look. Taking time out in nature has benefits to individuals and to families. It’s easy to forget to connect with natural spaces in our busy pressured lives. Nature is a place that feeds the senses, and being able to recognise shapes in an apparently unconnected environment increases our observation, visual dexterity and ability to develop complex thoughts. Look for numbers in nature to encourage the development of thought. The Steiner curriculum includes children absorbing shapes and geometry, physically. Through movement or crafts or actions. At a young age it is not important to intellectualize or explain maths concepts, it is only important to see and experience it. It is at an older age that the line of inquiry will be embarked upon , as the young person starts to connect what they experience of life to what they know of the world. The geometry of form has certain different qualities to the Euclidean geometry of school,. it is rooted in movement and growth as oppose to measurement and segments. This fluid geometry and the revealing patterns that can be seen in nature creates a rich environment for expansive thought in the brain. Projective geometry is a form of higher maths yet the essence of projective geometry can be experienced in natural forms and drawings. The Smart Happy Project is where numbers and nature come together. Geometry is ever-present in nature, on many levels all waiting to be observed. Now you know why to look for numbers in nature lets move onto How to look for Numbers in Nature and show you how to find them. Snowflakes are hexagons, butterflies are bilateral symmetry, Let’s start at this level and then move onto spirals and polygon patterns . And at no time do we need to sit at a desk. We are drawn to numbers in nature. Many of us will gather a few shells from the beach or pine cones from the woods. They are beautiful objects that inspire and we are drawn to these things yet can’t place exactly why. We are all naturally fascinated. Many of us don’t know why we look for the numbers in nature, but we do. I have always gathered things that I find fascinating – and so started my journey of exploring these patterns and numbers in nature. Collecting I have made an art form of. (some would say ‘hoarding’!) yet with a slightly different perspective these mementoes can be collections along numerical or pattern themes. Natural number collections. The beauty of number patterns are there staring at us calling us to look closer and observe the order and structure that are present in natural growth , we have just taken it for granted. What I want to encourage is an increased awareness and observation of these numerical patterns. Its not an easy suggestion to make, “Can you see the triangle in the cucumber?” but there are so many things in this phrase. the encouragement to observe what seems like the everyday. To stay alert and aware of our surroundings. What begins as a curiousity in flowers picked in the back garden and an encouragement to observe can strengthen into understanding shapes and geometries of form that may in the future support an understanding of learning higher maths concepts. Lets just start by looking. girl with magnifying glass. Photo Credit : Melanie Black.